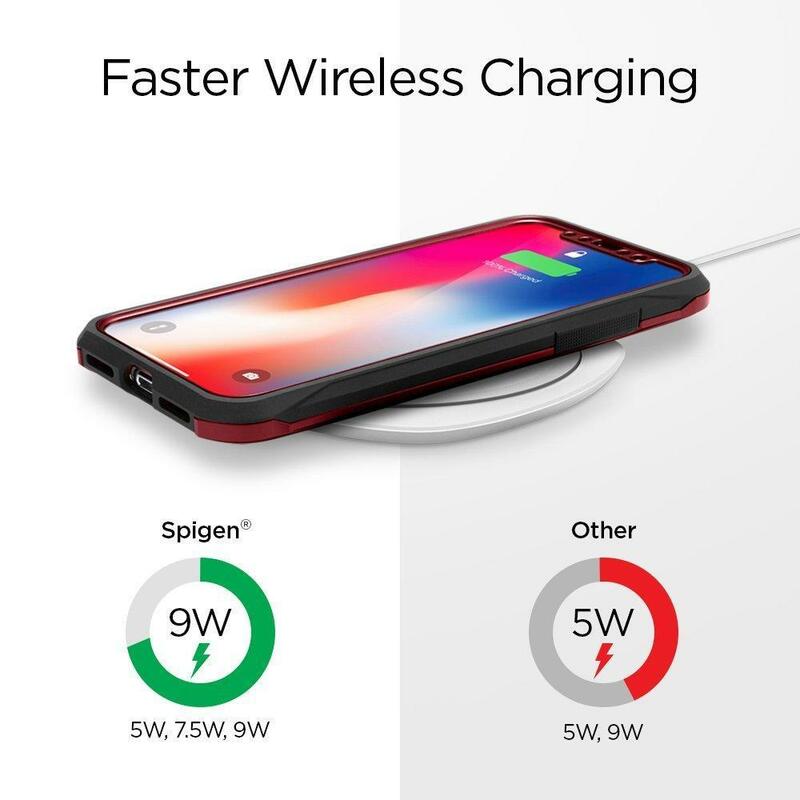 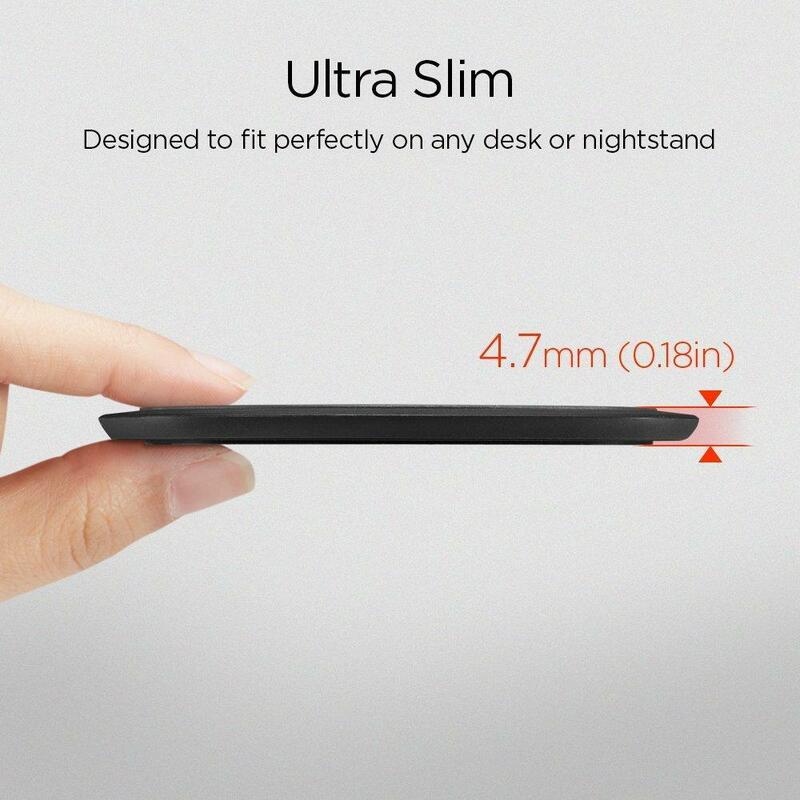 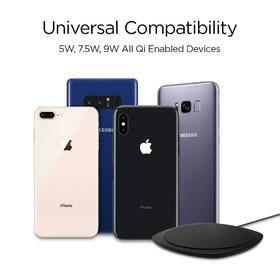 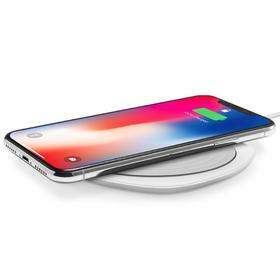 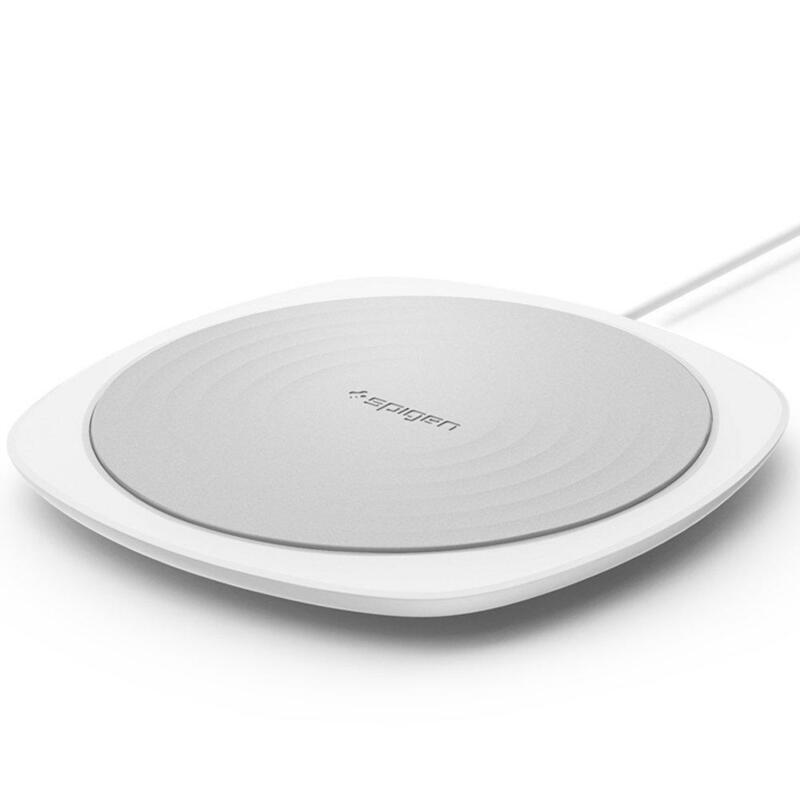 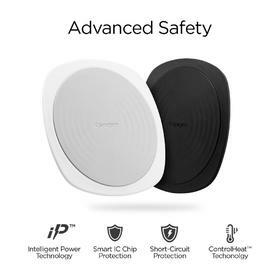 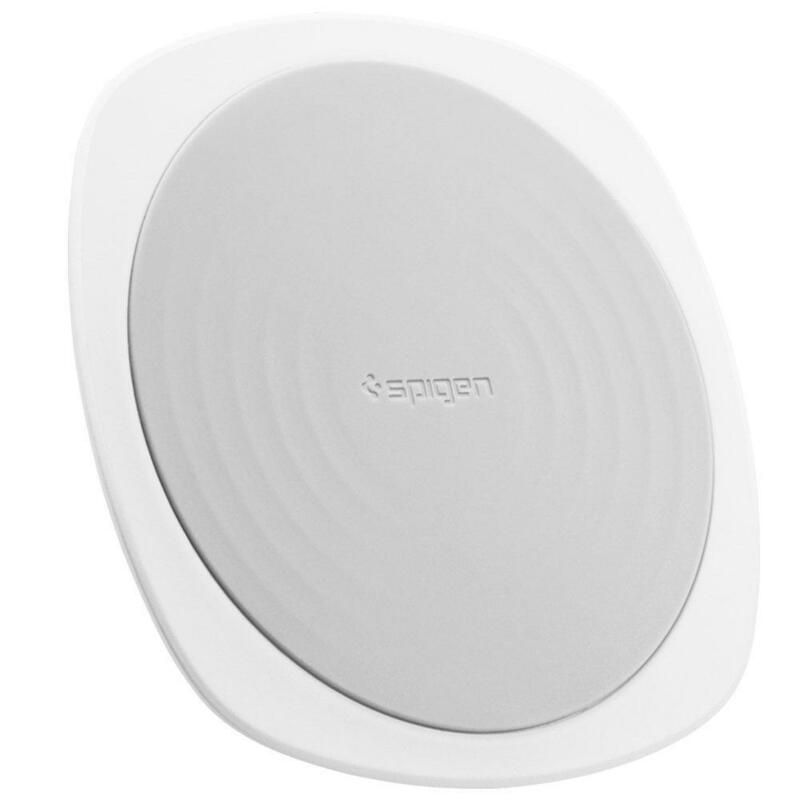 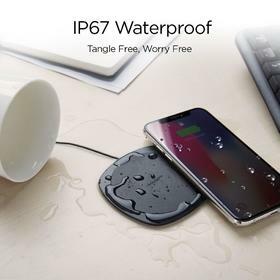 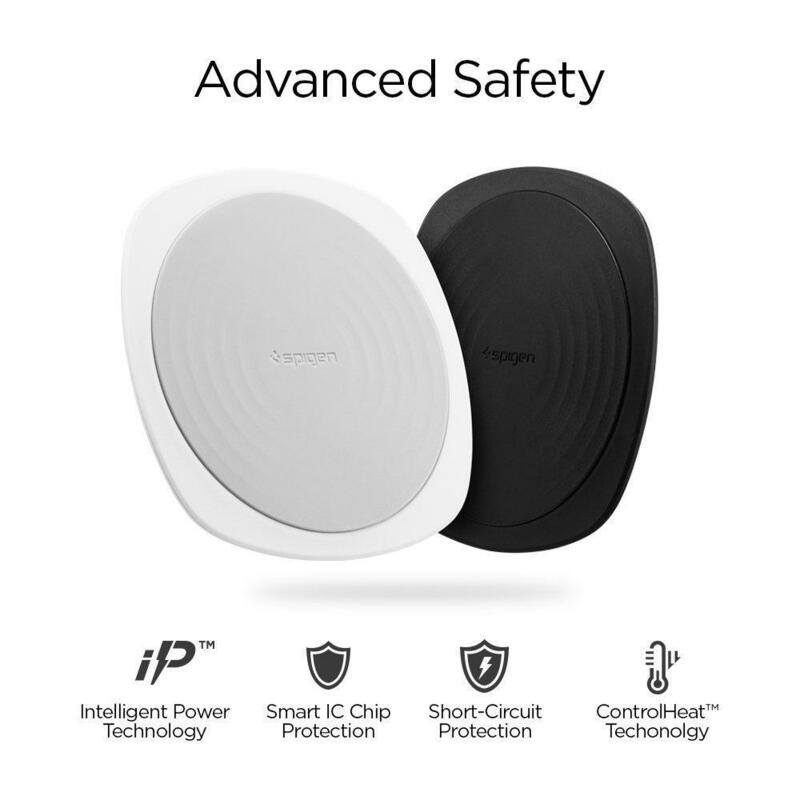 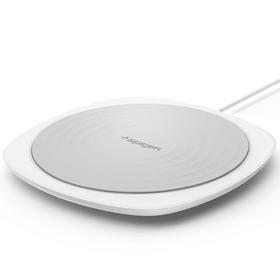 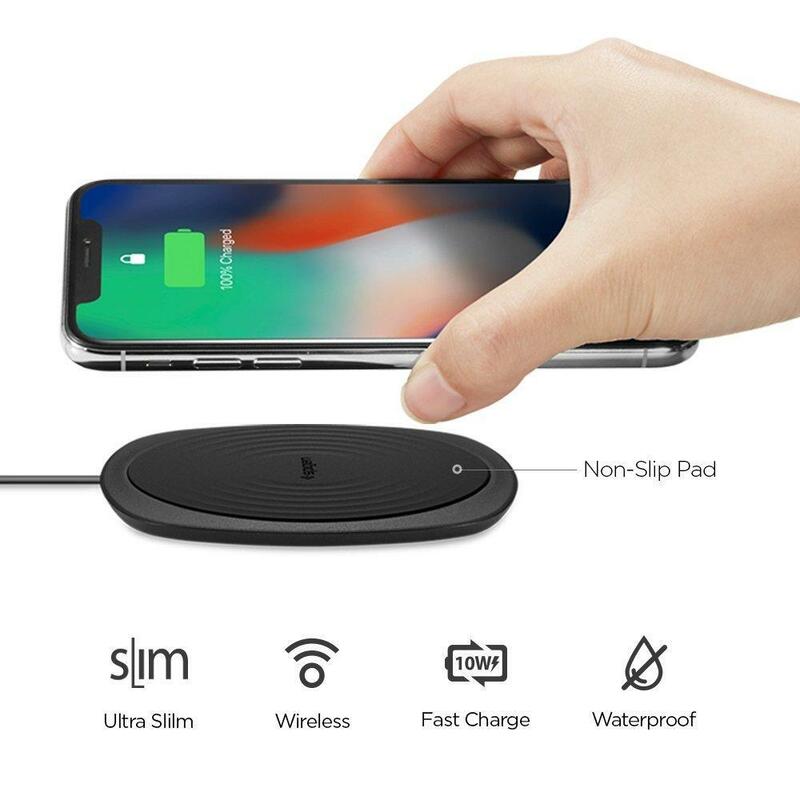 * ** Wireless charging is not recommended with: Spigen Crystal Wallet, Slim Armor CS, Wallet S case or any case's thickness exceeds 5mm / 0.2in which may affect the wireless charging performance. † DO NOT use metal plates for magnetic car phone mount with wireless charger. † Adapter NOT included. We strong recommend using a 9V 1.67A/QC2.0/QC3.0(18W) in power supply output. 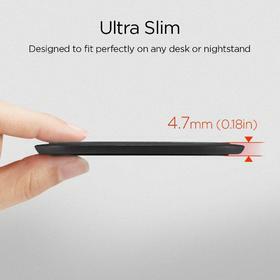 Dimensions: 3.37" x 3.37" x 0.18"
3.37" x 3.37" x 0.18"